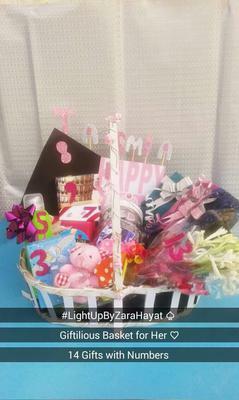 Light-Up by Zara Hayat is a venture that offers gift items for their customers to give them a chance to lightup their loved ones' events with creative gifts including gift baskets, cakes,light-up frames for all ages. A. I inherited this passion to craft from my Ammi (mother) and this makes me more and more passionate about my work, I am always dying to showcase my creativity all the time. 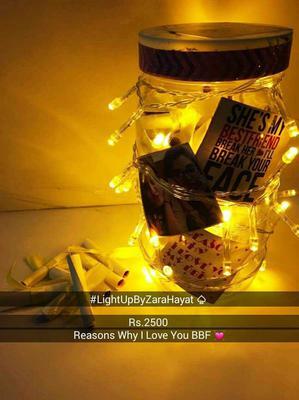 A. I started all this 1.5 year back, firstly I just love how women have such great crafting skills ... it is an inborn talent that this gender is naturally gifted with. Once I was confident enough of my crafts I started selling them through Online Selling Pages and the response is what has brought me all the way here. A. My only vision is to make unique yet reasonable products, that both me and my customers can take pride in. I love that I am in a different kind of market altogether, I love my customer’s faith in me ... if you ask me that is my biggest achievement. Their FAITH, even though I am just another home based brand. A. My biggest achievement is my customer’s trust that I have gained in almost no time, people recommend my brand & that makes me the happiest person alive. A. My current work projects include all the crafter gift items possible and we also include a midnight delivery surprise. We offer cakes from your favourite bakeries too. 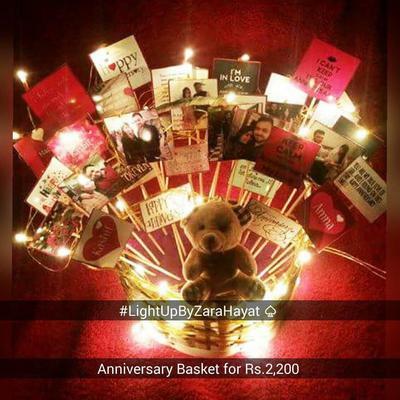 Light-up baskets, Reason jars, Light-up frames, Chocolates baskets and much more. 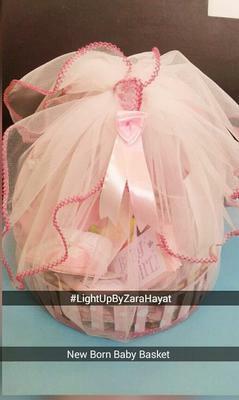 We have started doing midnight delivery surprises internationally too now such as in Dubai, I want to be able to launch all my products for Dubai too. A. Just be honest and passionate about your work.